In today's ever-fluxing, growing and changing IT environment, versatility, speed and reliability are top priorities for storage strategies at companies of every size. As such, solid-state storage has proven itself capable of providing fast, efficient performance. Unfortunately, though, it has also proven to be so pricey it's been referred to as "data center bling." However, a selective approach to solid-state drive implementation can help yield the maximum benefit without draining your storage budget, although its impact on your entire storage infrastructure can vary. Determining the best place to add SSS to your environment is vital to deployment success. 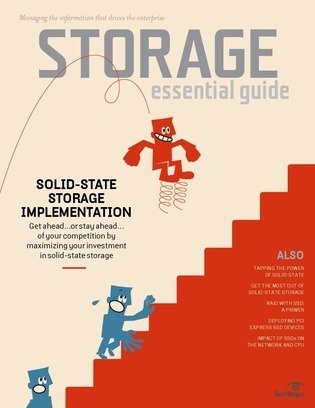 Check out this Storage magazine Essential Guide to learn just what SSS means for storage environments: Gain insight into how to determine where and how much SSS to adopt, learn best practices for SSS, explore the profound impact it can have on your storage environment and much more!